2. Log in if needed to activate the OneConf view. 3. Once OneConf is active in the view, note the pane to the left that allows you to select computers (it may show only your current computer if you have not yet registered other computers for syncing). 4. Start typing letters into the search bar until you get zero search results (a blank panel to the right). 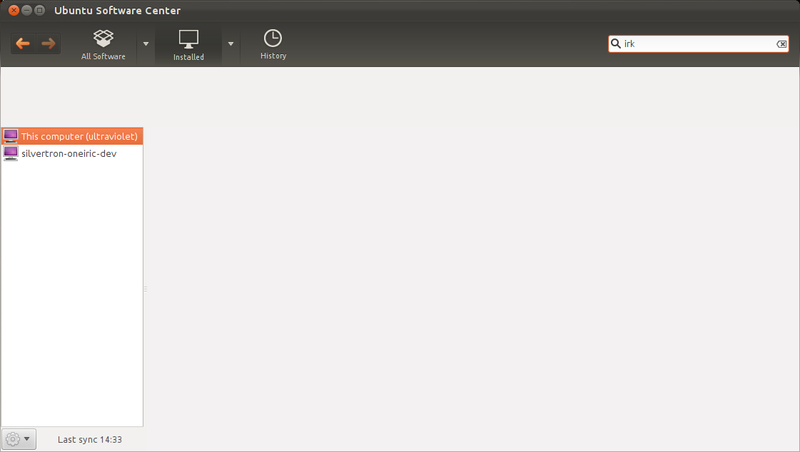 Note that an unsightly empty space suddenly appears above the oneconf pane on the left. See attached screenshot. This unsightly empty space should not appear.